This post originally appeared on the author’s personal blog, “The Recovery Poet”. I believe art has the power to save people. I believe this because it saved me. Funny enough, art was not always something I believed in. At least not this strongly. I was a musician in high school. I did some journaling. And I even tried my hand at poetry when the season for poetry submissions came along in English class. I never saw art as something that changed anybody, even though I loved music. Band was my favorite time of day. I connected with music in a way I connected with nothing else. And on my worst days, it was how I managed to understand the world. I’ve played my hand at drawing, music, writing, and poetry. Finally, I found my home in writing and poetry with a hint of music when I have the right instrumentation. Let’s be honest, trombones just don’t play parties alone. I’ve always found solace in words, but I remember a time when I couldn’t even find words. Every time I started writing I spent more time scratching words out and doodling over them than I did creating anything. In retrospect, I wasn’t ready to start talking about what I knew. That is what the best writing is about – what you know – and what I knew was way too complicated to start talking about out loud. Just a few years ago, though, when I ran out of excuses to not deal with it and all other means of ignoring everything, I came face to face with a type of broken I can honestly say I hadn’t yet seen. It’s one thing for the people you love to break you accidentally. Because they don’t know any better. Because they are broken too. It’s an entirely different thing to be broken by someone you love intentionally, knowingly, and oh so blatantly. That’s what should have broken me. If I’m really honest, I’m not sure I should have made it this far today. Right when I should have been permanently, irreparably broken, I found my words. It was finding my words that started to change the way I look at the world, healing, and eventually peace. I started to see that art has a unique role in understanding pain, struggle, and conflict. That I could really uncover the causes of my own pain and conflict by exploring my art, and ultimately that exploring my experience through art could also help other people explore theirs at their own pace, in their own way. My journey to seriously consider the role of art in peace began here. How can we do peace if we don’t take the time to understand the underlying, innermost causes of conflict – inner and interpersonal? And how can we possibly understand the underlying causes of conflict in a community if the people in the community haven’t had the chance to understand them themselves? I didn’t understand what I was struggling with for a long time. Art helped me figure it out in a way that was comfortable for me. Sometimes sitting down with a traditional counselor isn’t enough, and often it’s not even an option. We have to find a way to better understand and identify the causes of conflict in individuals and communities, so that we all know better how to address them. Art let’s you explore your life and experiences both directly and indirectly, and, for those who don’t do art, seeing and discussing art can help you uncover your own struggles. What better way to promote agency in your own understanding and healing than art? Art helped me realize I was an agent in my own life, that I had the power to deal with my problems, and that I could do it through art, when so much else had failed. This was a pivotal moment in becoming the person I am today. Peace is both the ending of violent conflict and the removal of structures that promote violence. It is creating structures that contribute to sustainable, lasting peace. There are many opinions about how that happens, but most agree it has political, social, economic, security, and legal dimensions. My degree program broke it down into conflict analysis and resolution, human rights, and development and human security. If you look at peace theory, it’s so clear that art has a place amongst those dimensions. The basis of conflict analysis and resolution is that to end violent conflict and create peace we have to figure out the causes of conflict. As you’ve probably seen, art has the ability to uncover and explain the causes of conflict in new and more holistic ways. It can help people realize what their own struggles are, and also help people better understand the struggles of others. Art can revitalize local economies and promote not only short-term relief, but long term, sustainable development. It can build up local artists and artisans while bringing in art lovers, collectors, philanthropists, and business people – thus boosting local, small business to meet the increased demand for housing, food, and transportation. It has also helped record and remember lives lost to terrible human rights abuses. It’s often helped promote reconciliation. Things like storytelling are often used as traditional forms of forgiveness, restoration, and reconciliation. Art is so often used for social recovery that art therapy is now a widely used tool for helping children, youth, and adults overcome horrible traumas and abuses. The Missing Link – Why Nairobi? Art has a role to play in each and very aspect of peacebuilding. Peace is often seen as a systemic goal, and art has a role to play in that too, but what art really does is make an intentional connection between the creation of inner, personal peace and systemic peace. The youth I met in Kariobangi and Mathare believed so intrinsically that their everyday actions could contribute to personal and community peace. That they could build peace by saving money from their car washing business to teach children about social issues through football. That they could build peace by doing free concerts for community events and schools, so they could use their art to contribute to individual and community development, while also pushing for deeper conversations through the subject matter their art explores. That a couple of djs could contribute to peace and social awareness by creating a mix-tape that also talks about social issues during traffic jams. 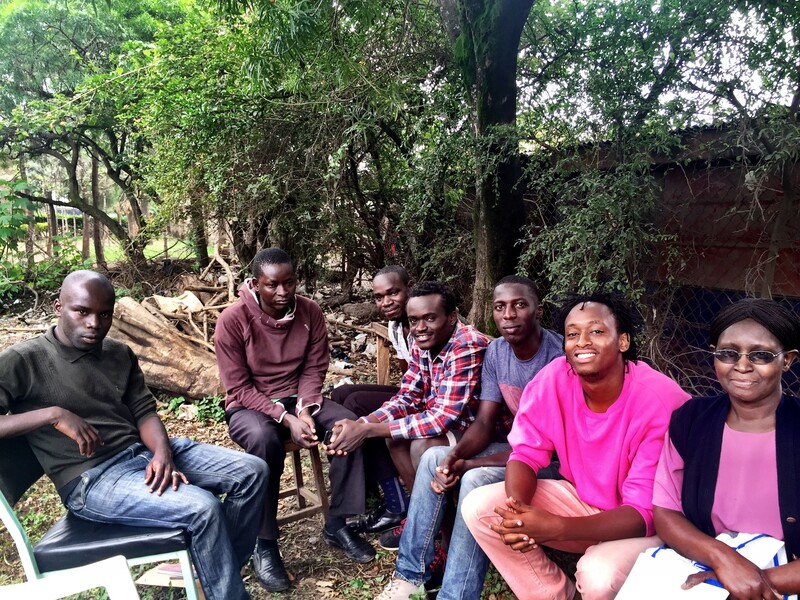 The coolest things about youth in Nairobi is they’re already on a journey to connect inner peace to systemic, and they want to do it in new, innovative ways. So in some ways, they taught me, at the end of the day, that art just makes sense. If we ever want to take youth seriously, and we should if we really take peace seriously, then we have to start speaking through mechanisms that youth speak through. Youth are not only the backbone of society, but also the backbone of peace. And I know from the youth I’ve met here that I would be completely lost to try to create peace with youth without including the very voice they speak through. For all those without the privilege, resources, and opportunity to be heard, art is the voice. For all those too broken, marginalized, and disenfranchised to speak, art is the platform. 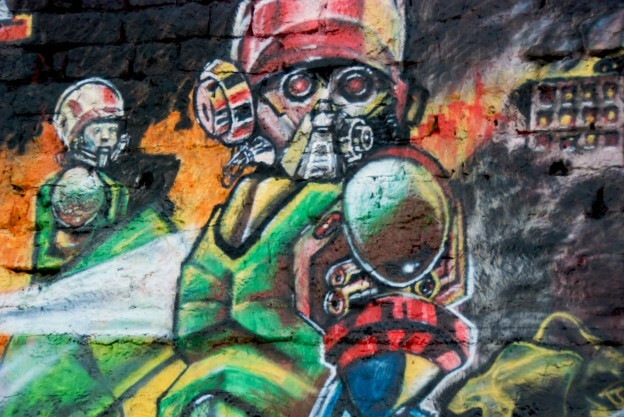 I hope you’ll keep following as I begin interviewing Nairobi artists who use art for social awareness, change, and peace. 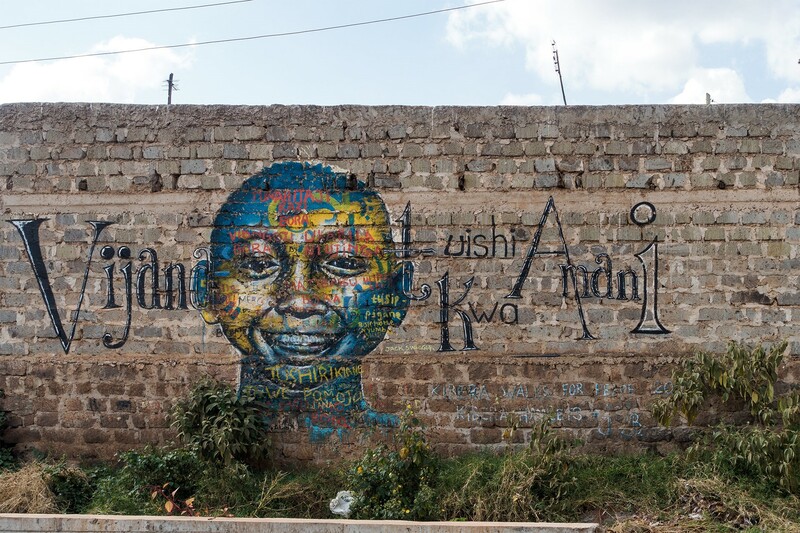 Stay tuned next week as I tell you about my first meeting with artists in some of Nairobi’s informal communities who are using art for peace education. It’s already been an incredible journey, and I’m so excited to see where it goes next. I hope you’re having a fun, fulfilled, purposeful week. Until next time! The views expressed are those of the author and are not necessarily those of the IPJ or of the University of San Diego. 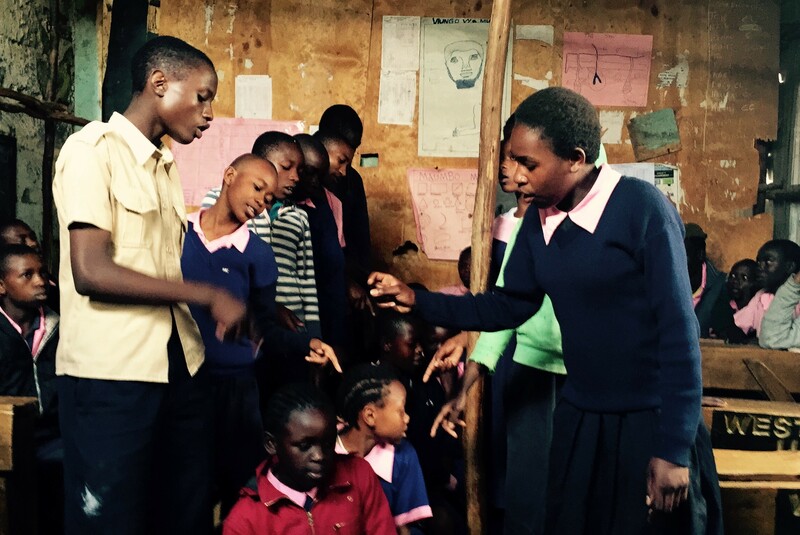 This entry was posted in Kenya, Peacebuilding and the Arts and tagged art, Kenya on March 15, 2016 by Daniel J Orth Orth. One moment taught me more about relations between youth and police in Kenya than three months of interviews ever could. I was attending a panel discussion on the ways Kenya can rehabilitate its police force. Situated in a large conference room off Kimathi Street several floors above the Thorn Tree Café in Nairobi’s Central Business District, we sipped coffee and tea as we watched presentations by police leaders, internal affairs officials, and security-based NGOs on the best and worst of policing in Kenya. By the time the presentations had ended and the floor opened for questions the room was bursting. People stood in doorways and listened from the hall. Young people sat on the floor and shared chairs. NGO and government leaders squeezed closer to fit even more people in the suddenly tiny, sagging room. Even as questions began, people pushed in hoping to participate in the increasingly tense conversation, hoping to have their stories heard and to be seen. Youth and police in Kenya are both “others”. This is a very complicated identity. They are each other’s out-group, but it’s more than that – each is seen by the other as the group without which they would be undeniably safe. Both groups viewed as the single most important obstacle to the other group’s security. According to this “other” category, without the other group, they would be ensured safety and life, not only for themselves, but also for their family and friends. I learned, though, that their identity is so much more than being someone’s other. Actually, they have a lot in common. Youth and police alike feel they are seen as bad, an enemy, and people who can do no good. They feel no amount of good they do can change who they are seen to be. In a society defined by tribe (and politics separated by tribe), they are both often placed in a category all their own to be “othered” and excluded from community hierarchies and decision-making. Each youth and community member stood up and told their story, the atrocities they had undergone at the hands of the police – the police deputy offering denial to each one. By the end of the conference there were more tears than progress, and I had been given the rare opportunity to be broken in observing unhindered the increasingly violent relationship between youth and police. It was heartbreaking to hear the pain and abuses youth and community members had experienced at the hands of the men and women intended to serve and protect them. Othering is normal, but we should all be concerned when othering turns violent. For youth and police in Kenya, it definitely has. That said, it is as important to consider the struggles of the police who often go unpaid for months at a time, live in deplorable conditions squeezed together in small rooms with other police families, and, according to interviews, are often expected to fulfill terrible quotas (including bribery and killing quotas) in order to ensure their and their families’ survival. I can’t fact check these stories for you. What I can tell you, what I know, is that each story has at least a semblance of truth. Thus, it has at some moment, likely with one or more police, been true that some junior police have been expected to fulfill these terrible quotas. It is has been true for some, if not many, youth that they have undergone abuse and torture at the hands of the police. It may not be true for all, but if even a few of these stories are true then Kenya, as a country, as a government, has permitted terrible human rights abuses. With that truth in mind, it is also very likely that the only path to healing the wounds from all of these abuses is honesty – open, truthful, honest conversation. It doesn’t have to be a truth commission, but Kenyans are bursting with the need to tell their truths, and until society gives them that opportunity no healing can be found. I spent my summer as broken by the tragedies police have experienced as I was by those of the youth. A terrible thing has been permitted to persist. Government, society, and individuals have allowed this festering wound to get infected. I hope to my core that it is still healable. What I will say is that despite all of the pain and abuse, there are beautiful, resilient relationships amongst youth and police. There are good people on both sides fighting to make a difference. Youth feel hated. Police feel hated. Maybe, if we can begin to show them both how very much they have common, things can change. There is hope. Because even a few people dared to believe it was possible. A few youth and police dared to believe they could create a positive, vibrant relationship, and then they did. Sarah is an exceptional woman. She is a community leader, a mediator, and a women’s and child’s rights activist. Truly, she has dedicated her life to creating change, even if the endeavor is self-funded. One choice to share her mediation skills to help the youth and police bridged an increasingly violent, otherwise irreparable gap, and allowed a truly trusting relationship to flourish. Joseph is a very special youth. More man than youth, he leads a local youth group and runs the youth social hall. An incident of arbitrary arrest inspired him to foster a better relationship with police – sparking one of the best youth-police relationships in all of Nairobi’s slums. At the same time they taught me there was so much brokenness, they also taught me there was so much life. We have so much left to learn, but I move forward believing it is absolutely possible because the Kenyan people showed me it was. This entry was posted in In the Field, Kenya on February 15, 2016 by Daniel J Orth Orth. Walking into a community for the first time is an incredible experience. You carry with you a newness that can be beautiful and can help you see things others may not. Still, walking in with new eyes isn’t enough. If you wish to do any good at all, you must walk in with eyes open enough to see the beauty in the difference and a mind open enough to be interested in the vitality of the people and to ask the right questions. Ask questions you believe you already know the answer to. Ask questions about asking questions – How to ask. When to ask. What to ask. You have to see through the eyes of the people who live there. They are the ones who can show you why things work the way they do. I met so many good people doing work in different parts of Kenya. I also met many people from the communities those organizations work in – people who helped me see how a predisposition – believing you know the answers and that you can save people – can infect entire institutions guided by good intentions. Perhaps the most important lesson my friends in Mathare, Kariobangi, Kangemi, and Kibera taught me is that “slum tourism” can be more than just a thing people do when they visit poor communities. “Slum tourism” can bleed into the mindsets and predispositions people have about a community. It can bleed into the frameworks and principals of an organization through the people that create it. It is through that understanding, through the eyes, ears, and hearts of the people who showed me so much truth and openness that, though I can see there are some benefits to “slum tourism”, I must make the argument that it does far more harm than good. It makes it normal and far too common to walk into a community with the predisposition that they are something so “otherly”, so abnormal that they deserve to be toured and stared at by all the people who come from so much “better.” As though they contribute so much bad or uncleanliness to the community that they forfeit their basic human rights to privacy and dignity. That is why they call it “slum tourism.” We are touring the slum of it all. We’re going in to stare at their poverty. Does it make us more empathetic to stare at the poverty and struggle of another? Does it make us more connected to take pictures of someone else’s deprivation and walk away without ever contributing anything good beyond a few bucks for a bracelet? I don’t know, as a whole, that it does. Normalizing this “slum tourism” mentality, a derivative of the “white savior” complex, gives organizations working in these communities the predisposition that the people or community need to be “fixed”. If something is broken, we must fix it, and if it is broken because there is something wrong with the culture itself, then it needs someone outside to be the one to fix it. Suddenly they are the slum and you are the fixer, and you will provide them with the things they need to get “better”. You have organizations that forget – they romanticize the poverty and objectify the people, capitalizing on and obsessing over their poverty so long that the people disappear and their poverty becomes a symbol for everything that is wrong with the community. They forget to see the people, the good – the vibrant, busy, beautiful networks of people and traditions that create so much positive in their own communities. I know we do this because I’ve been in the position where I too forgot to see the good amidst the poverty. Many years ago, when I saw my first slum, I cared about the people, but it was so easy to get lost in the poverty and not see the good in that community. I come from a part of the Southern United States that people also forget to see the good in, but still when I was confronted with a type of poverty I hadn’t seen before, I forgot to see the fullness of the community. It wasn’t until several years later, when I had my second encounter with a slum community, that I got it. And I got it that time because I was working with organizations that had already figured it out. The Joan B. Kroc Institute for Peace and Justice (IPJ) works with local organizations in Nairobi’s slum communities through local partners and the IPJ has so much love and value for the people. I cannot tell you how exceptionally refreshing it was to see a community organization relationship with so much mutual value and respect. Seeing the beauty of the relationships they foster helped me put a face to something I really didn’t know I was looking for. It was like realizing I was missing something only because I finally found it. “Slum tourism” mentalities are rooted in the same paternalism and superiority as “white-savior” mentalities. We are taught that we’re the answer to the world’s problems, but we’re not. I am not the answer to the Mathare slum community’s problems. However, if I can go in with a bit more humility and I’m willing to listen to and work with people from there that really understand how to change things, I can play a part in making things better. I learned what that looks like through the incredible actions of the IPJ and their local partner, Chemchemi Ya Ukweli (CYU). They showed me how you walk into a community that is not your own and create change through value and love for the people within it. They took the theory I had been learning for months and showed me, practically, that how you do it matters and even the best of intentions can cause harm if we practice peace with the wrong ideals and predispositions. Everyone says that theory and practice are very different. I think the truth is that if you go in with a value for all people and root your theories in that value, then practicing value for people really isn’t that hard after all. It’s when you go in without that value that you leave yourself open to perpetuating harm, like that created by “slum tourism” and the “white-savior” complex. I had no idea how much I had left to learn or how many beautiful people would remind me that poverty does not mean you are useless, incapable, or invaluable. Dirty floors and outdoor bathrooms do not define your worth. People are intrinsically of value, and if it wasn’t for my time with the IPJ, I may never have known what an institution that intrinsically values human life and agency looks like, or that I hope to spend the rest of my life learning life changing lessons from beautiful people in “less-civilized” communities. This entry was posted in In the Field, Kenya and tagged Chemchemi ya Ukweli, IPJ, Kenya, slum tourism on December 16, 2015 by Daniel J Orth Orth. During the past week in Kenya, Pope Francis challenged Kenya’s religious and political leaders to fight corruption, create religious cooperation, and reduce the high levels of economic inequality. Kenya also lost its bid to have recanted witness testimony dropped in the case against William Ruto. Finally, in the face of Kenyan youth recruitment into organizations like ISIS and al Qaeda, Kenya urged the commonwealth countries to fight the splurge of radicalization in religion and youth. As has often been the case with Pope Francis, he spent his time in Nairobi challenging religious and political leaders to take greater strides towards fighting poverty and corruption, ending radicalization of youth for the purposes of terror, promoting religious cooperation and dialogue, and reducing economic inequality. Sieff, Kevin. 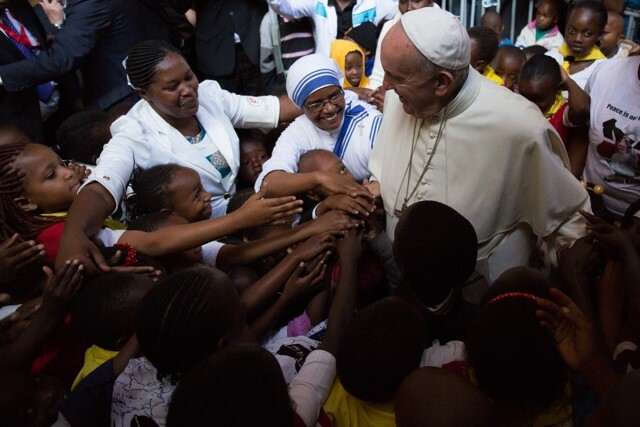 “Pope Francis Speaks to the Roots of Terror in Africa Visit.” The Washington Post. November 26, 2015. Bhatia, Aunindita. “Pope’s Visit Centers on Poor, Youth and Religious Differences.” Blasting News. November 27, 2015. Kenya continued its bid to have “recanted evidence” dropped in the case against Vice President William Ruto. The Kenya delegation sought to have the rule that allowed the use of such evidence amended during the recent Assembly of State Parties. The ASP passed a resolution late Thursday after removing two paragraphs regarding Kenya’s effort to have the rule changed. This was likely due to lack of support and the overwhelming concern by many delegations that the body would be seen as interfering with the independence of the ICC. Oluoch, Fred. 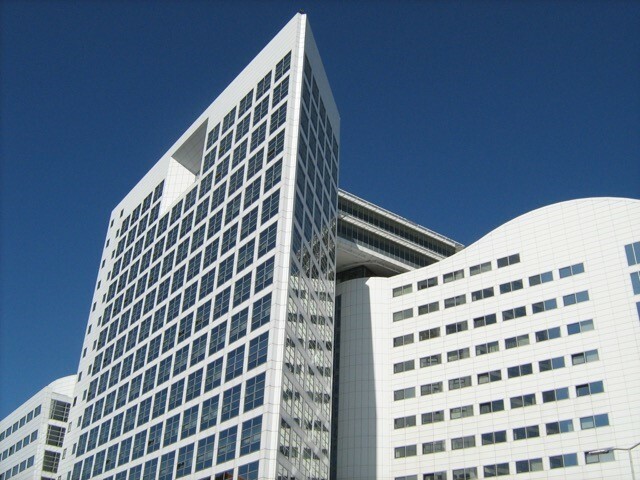 “Kenya’s Bid to Alter ICC Rule Flops at the Hague.” All Africa. November 28, 2015. President Uhuru Kenyatta’s delegate to the 24th Commonwealth Heads of Government meeting reiterated the Pope’s sentiments calling for fellow Commonwealth States to help end the radicalization of religion and youth in. Wanyama, Reuben. “Kenya Challenges Commonwealth States to Help End Radicalization.” Citizen TV. November 28, 2015. This entry was posted in Current Events, Kenya and tagged ICC, ISIS, Kenya, Kenyatta, Pope Francis, radicalization, Ruto, terrorism on December 4, 2015 by Daniel J Orth Orth. 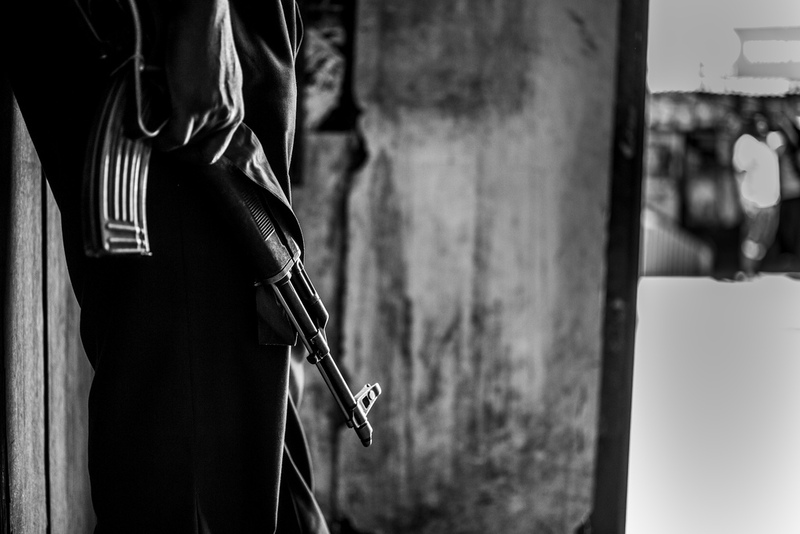 This past week in Kenya, security forces released a report raising concerns about al Shabaab’s new recruitment tactics. According to the report, poverty is leaving marginalized populations vulnerable to manipulation by the terrorist organization. Furthermore, security forces and government officials have been raising concerns about the potential consequences of corruption for Kenya. This concern was demonstrated most recently by the investigation of Youth Enterprise Development Fund officers on allegations of fraud. Finally, traffic stopped for hours on Lang’ata Road as matatu drivers blocked the road in protest over police harassment. 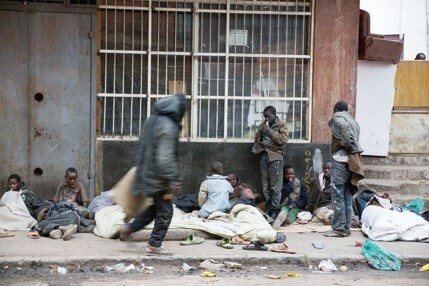 Kenyan security forces released a report recently saying that al Shabaab is now targeting street families as they are easy to access and manipulate with offerings of money and food. Street boys, often marginalized and poorly looked after, are particularly at risk since their disappearances are rarely reported to police. Mghenyi, Charles. “Shabaab Eyes Street Children in Mombasa.” The Star. November 2, 2015. Mwakio, Philip. “Al Shabaab Now Targeting Street Families.” Standard Digital. October 31, 2015. Corruption has been the topic of conversation in Kenya the past two weeks with accusations that the government, particularly President Kenyatta, is at best a victim to the systemic problem and at worst supporting it. Musau, Nzau. “Corruption, Tribalism Conspire to Hold Kenya to Ransom.” Standard Digital. November 1, 2015. Oudia, Rusdie. “Government interfering with operations of anti-corruption agency, Raila says.” Standard Digital. October 31, 2015. The chief executive officer and finance director of the Youth Enterprise Development Fund have been sent on compulsory leave as they are investigated after an internal investigation showed an undisclosed amount of money had been transferred from the fund’s official bank account. Kajilwa, Graham. “Youth fund bosses sent on 14-day leave.” Standard Digital. November 3, 2015. On Tuesday, the matatu operators (the local bus system in Nairobi) blocked Lang’ata Road leaving many commuters stranded as they protested ‘police harassment.’ The event lasted an hour after several of the operators had been stopped by police and allegedly held illegitimately. Kakah, Maureen. “Rongai matatu operators protest ‘police harassment’.” Daily Nation. November 3, 2015. The views expressed by Kroc Institute for Peace and Justice Interns are those of the author and are not necessarily those of the IPJ or of the University of San Diego. This entry was posted in Current Events, Kenya and tagged al shabaab, corruption, Kenya, police, youth on November 5, 2015 by Daniel J Orth Orth. Kenyan security forces have been busy this week with the Inspector General of Police calling for greater collaboration between the public and police, the rescue of an abducted schoolteacher by Kenyan soldiers, mass transfers of police officers due to alleged corruption and the removal of sixty-three senior police officers. Additionally, Muslim clerics, scholars and journalists continue to voice concerns over alleged misconduct by police towards Muslim citizens, especially Muslim youth. Finally, thousands of refugees in Kenya’s Dadaab Refugee Camp have returned home in the last year. Police in the city of Eldoret faced criticism early last week for arbitrarily dumping 100 Eldoret youth in Busia town roughly 80 miles away. Meanwhile, the National Police Service Commission announced that sixty-three senior police officers were found unsuitable to serve and were therefore removed from office with a further twenty-nine waiting to undergo another round of vetting. In light of the particularly unstable relationship between police and the public, the Inspector General of the Police is seeking greater collaboration with the public to strengthen their partnership to fight crime. A few days after this announcement, 140 police officers were transferred due to allegations of corruption. In a show of strength, Kenya’s Military Forces successfully rescued a teacher who had been kidnapped by Al Shabaab. Ochieng, Gilbert and Brian Ojamaa. “Police dump 100 Eldoret youth in Busia town.” The Star. October 13, 2015. Kaikai, Anthony. “63 police bosses axed from force after vetting.” KBC. October 15, 2015. KBC Reporter. “Boinett calls for police, public partnership to fight crime.” KBC. October 16, 2015. Jacob, Elkana. “140 cops transferred from Mombasa Port over corruption, tribalism.” The Star. October 19, 2015. “Soldiers rescue abducted teacher from suspected ‘al Shabaab’.” Coastweek. October 20, 2015. Muslim clerics, scholars and journalists have expressed concern over Kenya’s security approach to Muslim citizens, especially Muslim youth. After numerous disappearances and allegations of torture, many Muslim leaders are calling for more non-violent approaches. “Kenyan Muslims Decry Injustice.” On Islam. October 11, 2015. The UN High Commissioner for Refugees reported that as many as 5,000 Somali refugees have left Kenya’s Dadaab Refugee Camp and returned home. As many as 4,500 more are expected to return home from the camp in the coming months. Mohamed, Adow. “5,000 refugees have gone back to Somalia.” The Star. October 19, 2015. This entry was posted in Current Events, Kenya and tagged Dadaab Refugee Camp, Kenya, Muslim youth, police, security, Somali refugees, terrorism on October 22, 2015 by Daniel J Orth Orth. On September 25, Kenyan President Uhuru Kenyatta attended the 70th Session of the United Nations General Assembly (UNGA). While in New York, he garnered support from leaders of Caribbean nations to amend the controversial ICC Rule 68, which allows evidence from witnesses who have passed away, are presumed dead or are unable to testify orally. Kenyatta is seeking to amend the rule to ensure, as was promised when the rule was passed, that it would not be used retroactively. He believes the court ruling on August 19, in which the ICC trial judges decided to allow the prosecution to use recanted witness statements as evidence against Deputy President William Ruto and Joshua Sang, failed to fulfill that promise. Since that time, President Kenyatta has been pushing to amend the ruling and during the UNGA is said to have won support from the Caribbean nations to do so. A vote on the amendments is expected to take place at the ICC Assembly of State Parties in November this year. In other news, Kenya continues to struggle with inadequate employment opportunities and benefits and heightened anti-terrorism tactics – with teachers striking for five weeks, leaving students across Kenya without schooling, and the Anti Terror Police Unit making arrests almost daily. Kenyan news is rife with controversy over both the ICC court case against Deputy President William Ruto and other Kenyan officials. The President is just one of several people who are being accused of fixing witness testimony against Ruto and other prominent officials. The question remains whether the accusations are true, and, if true, what use Kenyatta has for changing the ICC rules. International Criminal Court. “Rules of Procedure and Evidence.” University of Minnesota Human Rights Library. 2000. The Associated Press. “Kenya: International Court Seeks Two Suspected of Bribing Witnesses.” The New York Times. September 10, 2015. PSCU. “President Uhuru Kenyatta Leaves for UN General Assembly Summit in New York.” Standard Digital. September 24, 2015. Kasami, Dickens. “Uhuru Wins International Support to Amend ICC Rule.” Tuko. September 29, 2015. Leftie, Peter. “Raila Claims Uhuru Used Moses Kuria to Fix Ruto at the ICC.” The Daily Nation. October 6, 2015. After five weeks of educational paralysis, the Kenya National Union of Teachers (Knut) and the Kenya Union of Post-Primary Education Teachers (Kuppet), the country’s two largest teachers’ unions, suspended their strike. This happened just days after a Kenyan Supreme Court decision ordering teachers back to work and giving them 90 days to resolve their dispute. Wanzala, Ouma and Elvis Ondieke. “Back to Class as Unions Call Off Teachers’ Strike Following Court Order.” The Daily Nation. October 3, 2015. “Kenya Pupils Return After Teachers Strike Suspended.” BBC. October 5, 2015. Munguti, Richard. “Teachers to Know the Fate of their Salary Increases on Nov. 6.” The Daily Nation. October 6, 2015. In an attempt to quell terrorism growth in Kenya, the Anti-Terror Police Unit (ATPU) on Sunday sought court permission to detain twelve Muslim clerics, who were suspected of radicalizing youth in the Mandera area, for fourteen days. On Tuesday, the court granted the ATPU permission to hold the clerics for five days. This entry was posted in In the Field, Kenya and tagged ICC, International Criminal Court, IPJ, Kenya, Kenyatta, Ruto, teachers, terrorism on October 8, 2015 by Daniel J Orth Orth. On Tuesday, September 21, 2015, mall and Nakumatt staff gathered at the new Westgate Mall in Westlands, Nairobi to honor those lives lost in the attack two years ago. The same day, a few minutes down the road in Karura Forest, where a memorial plaque is placed to remember those killed in the attack, a small group of people, mostly the families and friends of those lost, gathered to honor them with interfaith prayers. That day, two years earlier, al-Shabaab gunmen entered the Westgate Mall in Nairobi, Kenya, killed 67 people, wounded 175, and left the country with a resounding sense of loss and the collective trauma from the event. This loss and traumatization would only worsen as the nation spent the next several days watching footage of the 80 hour standoff as though they were seeing friends, family and fellow residents gunned down live, before their very eyes. One university student at Moi University wrote, “Millions of people watched the media circulate images of the traumatic events that transpired and gripped the nation together in real-time. The Westgate mall terror attack can only be compared to America’s 911 attack…” For many Kenyans, this event changed their lives forever. Though the personal loss was great, Westgate marked two important changes for the country as a whole: 1) It changed the way the Kenyan government and its officials approach questions of security; and 2) It changed the government’s approach to terrorism. The every day lives of Kenyans have been permanently impacted. From a walk to the grocery store to a ride to work each day, security, be it administrative or general police, pervades Kenyan Society. This is largely due to a shift in the governmental approach to security. In the first year after the Westgate attack, the government increased security spending by 24 percent and employed as many as 10,000 more police officers. The Kenyan government has taken precautions to ensure an atrocity like Westgate does not happen again. The new Westgate structure has as many as 56 security guards and was rebuilt with no balcony seating to ensure terrorists cannot scale the new building. Beyond these superficial changes, many Kenyans question the ability of the state to keep its citizens safe. Speaking of the Westgate attack and the government’s response, one individual wrote, “Lost an irreplaceable friend and colleague…Kenyan govt has done nothing serious to improve security.” For many Kenyans, while the government has committed numerous human rights violations, not nearly enough has been done to genuinely improve the security situation in the country. This entry was posted in Current Events, Kenya and tagged Kenya, news in review, terrorism, westgate on October 1, 2015 by Daniel J Orth Orth. Nairobi’s streets are wild—an organized, yet chaotic masterpiece unique to this “City in the Sun.” That’s what I realized the day I stepped foot in Nairobi. 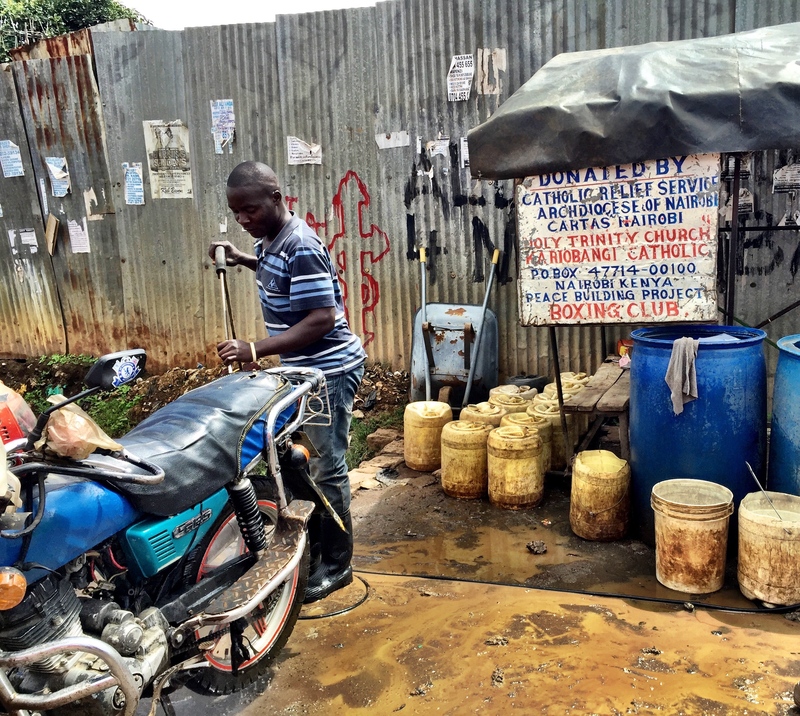 The smells, sounds and sights all have their own distinct Nairobi twist. There’s nothing quite like navigating this assault to the senses. Imagine, if you can, the smell of barbecued beef (Nyama Choma), garbage, sweat, and nature at the exact moment you are hearing and seeing cars, buses (matatus), motorbikes (bodabodas), camels, goats, push carts and any combination of security officers from Nairobi’s dozen different security agencies holding what look, at least to me, a lot like AK47s. Simply, strangely, I miss this Nairobi chaos. Who am I? I am a graduate student at the Kroc School of Peace Studies that was given the opportunity to traverse these wild streets, to befriend the line where Nairobi’s rich greenness becomes as sparse as the income, and to call it a program requirement for my school. I interned this summer with organizations that live and work in communities which many people—local and international alike—fear entering, and it was in those communities that I fell in love with that beautiful city and its residents. There I became irreversibly interested in the work of the Kroc Institute for Peace and Justice (IPJ). This internship with the IPJ gave me a unique and new love that showed me the beauty that can be found in struggle if you open your mind and heart to it. I had the honor this summer of working with three incredible organizations: Chemchemi Ya Ukweli (Kiswahili for Wellspring of Truth), Catholic Relief Services and Caritas. With Chemchemi Ya Ukweli, I interviewed actors at every level of Nairobi society to better understand the relationship between youth and police. This led me to communities all over Nairobi – from the lavish, upmarket areas to the more impoverished, informal communities. Riding this line between upmarket and informal gave me a depth of understanding around identity I could have gotten nowhere else. While working with Catholic Relief Services and Caritas, whose work is largely based in the informal and impoverished communities, I wandered around the settlements in Kariobangi and Mathare. There, I met countless youth who permanently changed the way that I think about what are considered informal communities and informal employment. I learned a great deal from this internship with the IPJ field program in Kenya and there are many things I will carry with me as I transition this fall from my role as a student of peace to someone who helps build it. Knowledge like the value of local voices that goes beyond meeting basic demands for local buy-in and insists on real, local, grassroots initiation. 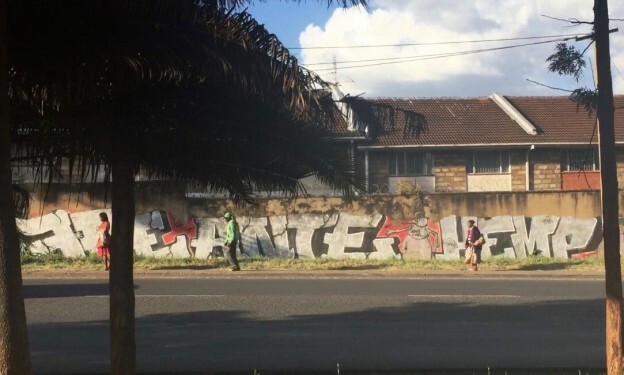 Following this introductory post about my work in Kenya, I will be writing a series of pieces dedicated to my experience with the IPJ in Nairobi. In these, I will have the opportunity to share some of the big lessons I’ve learned. The posts will explore four different themes: 1) How the teachings and values of the Kroc School of Peace Studies aided and influenced my practice this summer; 2) How external actors engage with local communities—how to avoid “slum tourism” or “the savior complex”; 3) Youth and police identity in Nairobi; and finally 4) Tribal identity in Kenya. In these posts, I will not only share some of the lessons I learned this summer, but I will also try to show how the methods and values of the Kroc Institute for Peace and Justice are exceptional and have shaped both my field experience and the lives of the individuals I met. This entry was posted in Kenya, Uncategorized and tagged internship, Kenya, police, youth on September 25, 2015 by Daniel J Orth Orth. Kenya’s elections on March 4, 2013, took place in a climate of uncertainty as the country went to the polls for the first time under a new constitution and since the devastating violence of the 2007 elections which left over 1,200 dead and more then 300,000 displaced. IPJ Program Officer Zahra Ismail joined The Carter Center observer delegation, which included 60 observers from 29 countries tasked with providing an impartial and independent assessment of the electoral process. In the sprawling central high school of Bungoma in western Kenya on March 3, throngs of polling station staff, election commission officials and security personnel moved about at a rapid pace, pulling together election materials, and readying them for transport to their specific polling stations. This was the scene across Kenya as officials prepared for the next day’s historic elections. With 14 million registered voters, over 100,000 security personnel were deployed across the country for just over 31,000 polling stations — the logistics alone were daunting. Yet staff and officials were determined to be ready, many planning to spend the night at their stations to ensure nothing went wrong. Each person we met greeted us with a smile, hearty handshake and the words Karibu Sana, meaning “you are very welcome” — an air of excitement for the arrival of the long-awaited day in their voices. We headed out to our first polling station at 5:30 in the morning amidst a still starry sky, and as we approached voters scurried to secure a place in the long lines surrounding us. Some had arrived as early as 4 a.m., eager to cast their ballots. Line of voters at 6 a.m.
As the 6 o’clock opening time passed, our station struggled with technical issues over its electronic voter identification system, leading to a stir of impatience in the line. The polling staff, well-trained and ready to respond to these glitches, went out to explain the delay and then quickly moved to using the manual register. An hour later things were moving swiftly as voters were invited inside one by one. At each station we visited, whether it was in a school classroom or under a tent, we found lines of voters anxious to have their say. At the final station we visited, one of the polling staffers remarked, “I think you were impressed with the unity we showed as a country.” We were. We were inspired. We were humbled. Over 12 million Kenyans peacefully went to the polls on March 4, 2013, reminding us of the beauty of the democratic process and serving as a testament to the will of a people who vowed, never again. This entry was posted in Current Events, Kenya on March 18, 2013 by .